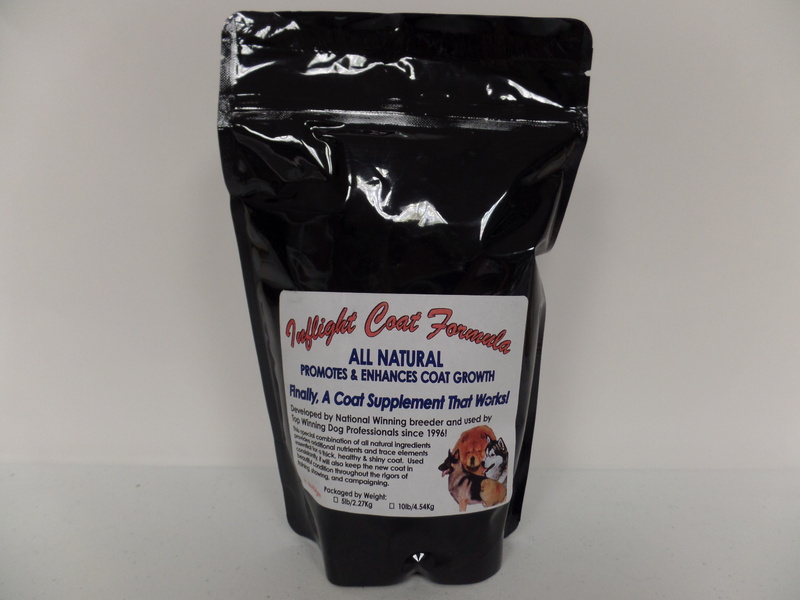 Inflight Coat Formula was developed and recommended by top breeders and handlers to grow and maintain a thick, luscious, coat throughout the show season. Great for all dog breeds! This combination of all natural ingredients provides essential minerals, vitamins, and amino acids, in a granulated form, for your dog to grow and maintain a thick, natural, coat. INFLIGHT COAT FORMULA is also great for dogs with: dry skin, bald spots, poor coat, or to STOP SHEDDING problems. Just add to your dog's food daily-they love the taste! Whether you have a show dog or a pet, this supplement will insure your dog will look and feel it's best! I accept Pay Pal for the above items. E-Mail me for details.